We had a very special evening on Friday 25th May 2018. We held our Commissioning Service for new Street Pastor volunteers at Meadowbank Parish Church. We had over 95 guests in attendance and had a lovely 3 course meal to celebrate prepared by volunteers from within the organisation. 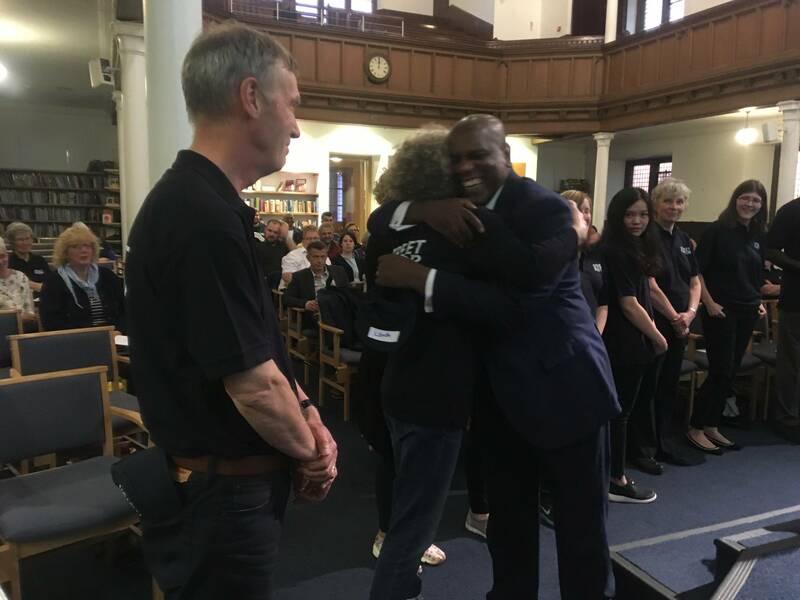 Many guests came to support our new Street Pastors, including family and friends of volunteers, church leaders, and a few notable guests from the council and the police; our partners in the Urban Trinity. Eustace Constance of Ascension Trust came to speak to us and commission our new Street Pastors. We had a great time celebrating 15 new volunteers joining the organisation and thanking God for his faithfulness to our organisation since its’ establishment in 2009. 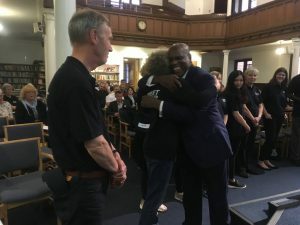 It was definitely a highlight of the year for our staff, trustees and volunteers.